What Should Brain Tumor Patients Know About Clinical Trials? Brain Tumor clinical trials have been in the news recently, and whenever National Brain Tumor Society posts the latest information, we receive numerous requests on how to find clinical trials, and how one goes about signing up for one. 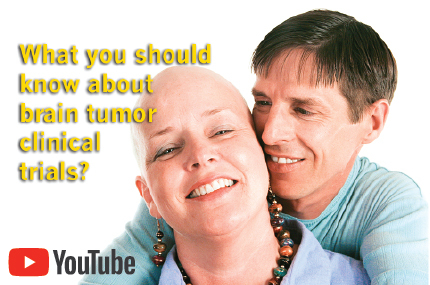 National Brain Tumor Society has created this video to explain the top five things you should know about brain tumor clinical trials. It's likely that you will work with a large team of medical professionals for treatment. Keep in mind that you can be in charge of this process. 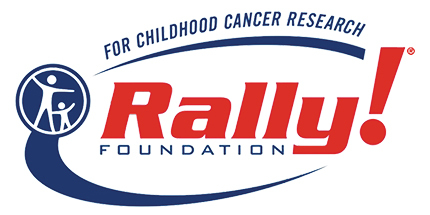 For the second time in as many years, Rally Foundation for Childhood Cancer Research has made a grant of $100,000, demonstrating their dedication to support the NBTS subsidiary, the Defeat Pediatric Brain Tumors Research Collaborative. The Rally Foundation, an organization investing in under-studied childhood cancers, awards grants through a competitive dual peer review process consisting of 48 of the top childhood cancer researchers throughout the United States and Canada. The latest grant supplements a previous $100,000 award announced in September last year, steering further innovation and acceleration in pediatric brain cancer research. The Defeat Pediatric Brain Tumors Research Collaborative, a program consisting of research teams from some of the world's best cancer research hospitals, leads the acceleration of global research and drug discovery to improve clinical outcomes for pediatric brain tumor patients. With help from Rally, the Collaborative will continue to grow and share its research in an effort to improve pediatric brain tumor patient survival. August 5, the Northwest Brain Tumor Walk is taking place at the Rose Quarter Commons in Portland, OR! Come out and meet other brain tumor patients, families, and researchers, as we walk to raise funds for brain tumor research. NBTS announces the distribution of awards funding cutting-edge brain cancer studies at three leading scientific labs across the US. Brain tumor survivor and NASCAR driver, Matt Tifft, invited members of the brain tumor community out to his race in Loudon, NH while he drove in a car wrapped in support of National Brain Tumor Society.